Lives in Transit chronicles the dangerous journeys of Central American migrants in transit through Mexico. 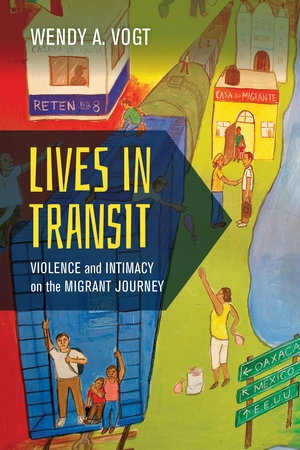 Drawing on fieldwork in humanitarian aid shelters and other key sites, Wendy A. Vogt examines the multiple forms of violence that migrants experience as their bodies, labor, and lives become implicated in global and local economies that profit from their mobility as racialized and gendered others. She also reveals new forms of intimacy, solidarity, and activism that have emerged along transit routes over the past decade. Through the stories of migrants, shelter workers, and local residents, Vogt encourages us to reimagine transit as a site of both violence and precarity as well as social struggle and resistance. Wendy A. Vogt is Assistant Professor of Anthropology at Indiana University—Purdue University Indianapolis.